Plus 2 Fantastic FREE Bonuses! Have YOU and YOUR BABY enjoyed your experience with Beaming Baby? Is YOUR BABY is lucky enough to be one of the 100,000 Beaming Babies to have been given the HEALTHIEST start to life? 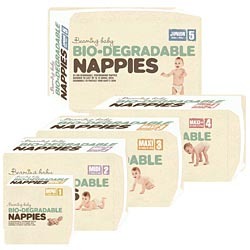 Have you seen and felt the DIFFERENCE in Beaming Baby's Bio-Degradable Nappies, Organic Baby Wipes and Bath Products? Then PLEASE tell your friends!